The CarrCom Blog: NIGHTMARE - Coming 2013! Originally named Night Terrors, my next film is now under the title of Nightmare and due for release in 2013! I'm aware this information was posted to my Twitter and Facebook accounts a few weeks ago, but here I am pleased to announce the full details of the film, including it's current progress in development. I am not going to start setting release dates, but I want to get cracking with filming by the end of this year, so the film could possibly be ready for an April 2013 release, maybe even sooner. The film is going to be a spiritual successor to The Attic, with a run time of roughly 45 - 60 minutes and a similar supernatural horror atmosphere. Rest assured, while it may retain some of the conventions The Attic itself used, it is not a rehash of my past efforts, but a new film with new concepts and themes. At the time of writing, the screenplay is still in the works, and will be finished in good time so it turns out the best it can possibly be. 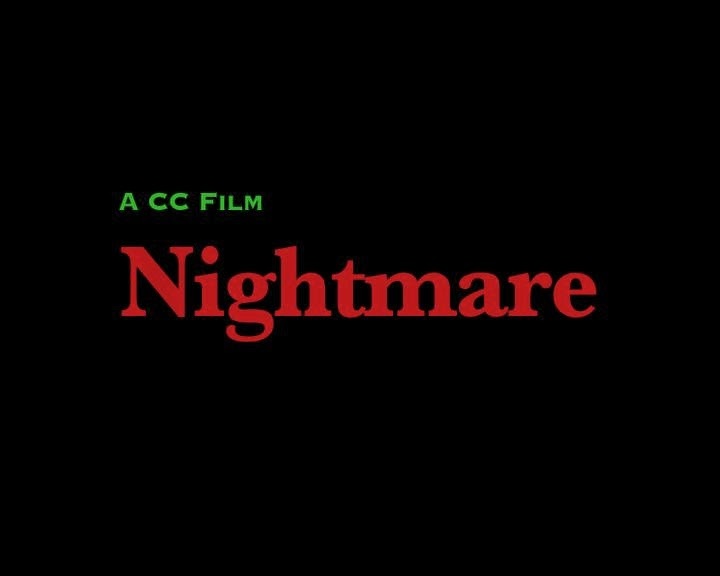 Thanks for your continued support for CarrCom Films projects, and I hope you look forward to Nightmare! Happy 18th - to yours truly!